Home winemaking isn’t a new phenomenon. When Romans discovered the process of winemaking (by stealing it from the Greeks, who gleaned it from others) many centuries ago, they spread the knowledge throughout Europe where it became a staple life-sustaining beverage. While commercial enterprises have taken wine to new heights in the modern age, there are still plenty of hobbyists and pioneering sorts who desire to whip up a fresh batch of vino in their own homes. In Canada the practice is widespread. The taxes on alcohol, the restrictions from imported goods, and the limited ability to create well-crafted commercial wines from Canadian crops build a trifecta of reasons to vinify one’s own private bottling. Throughout Canada you’ll find shops where quality grape juice and all the equipment and supplies to turn it into wine are available for rent or purchase, with knowledgeable winemakers on staff to assist customers through the process. In Vancouver USA, we also have a great shop to help you through the process of creating a batch of your own private wine. Bader Winery near the corner of Grand Blvd. and Mill Plain Blvd. has been helping area residents vinify quality batches of great wines for many years. Owner Steve Bader offers up several levels of packaged juice plus the expert guidance to ensure quality results. From Australian Syrah to Italian “Super Tuscan” blends, Port & dessert to bone-dry big reds, grapes are harvested, juiced and packaged from around the world to give home winemakers a chance to create a wide range of styles to suit any palate. 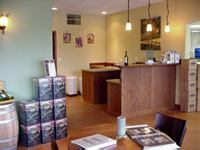 Winexpert.com provides a line of high-quality products to choose from at the Bader Winery. Kits range in price from $80 to $140, take from 4 to 8 weeks from first visit to bottling, and create about 30 bottles of great wine. Additional supplies including bottles and labels are extra. 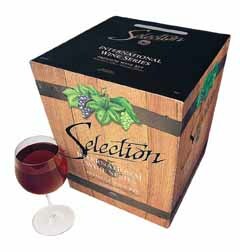 When finished, you can have your own private labeled cases of wine for drinking, gift-giving, or for celebrating a grand event! Try The Joy of Home Winemaking or Home-winemaking.com for more information about crafting wine at your home.